Tim Sanders designed this handy guide to determine your suitability for space travel. With space tourism and perhaps one-way travel to Mars opportunities on the horizon, now is the time to consider whether or not you’d be a fit for space. Looking at criteria ranging from one’s courage, physical characteristics like an heroic heart, peacemaking abilities, and how you’d react to dangerous scenarios, this chart will provide you the answer. 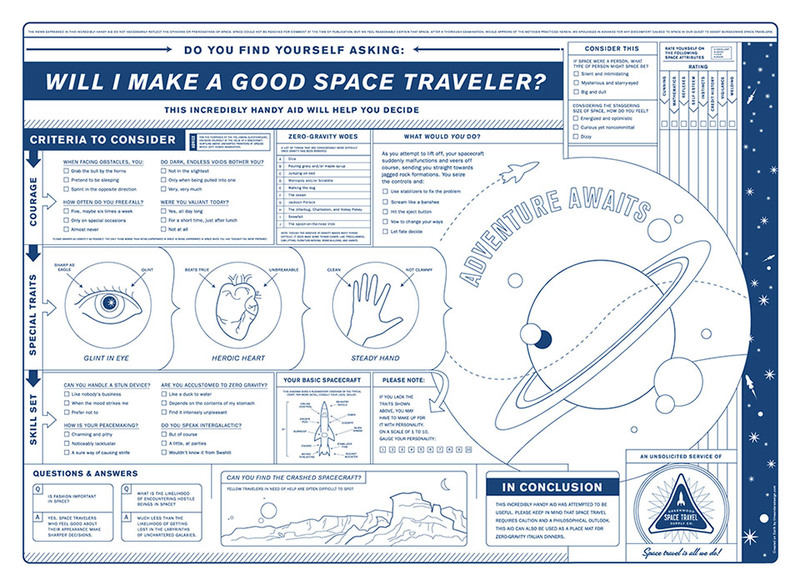 You can over 18″ x 24″ screen-printed posters of this cool infographic from the Greenwood Space Travel Supply Co.